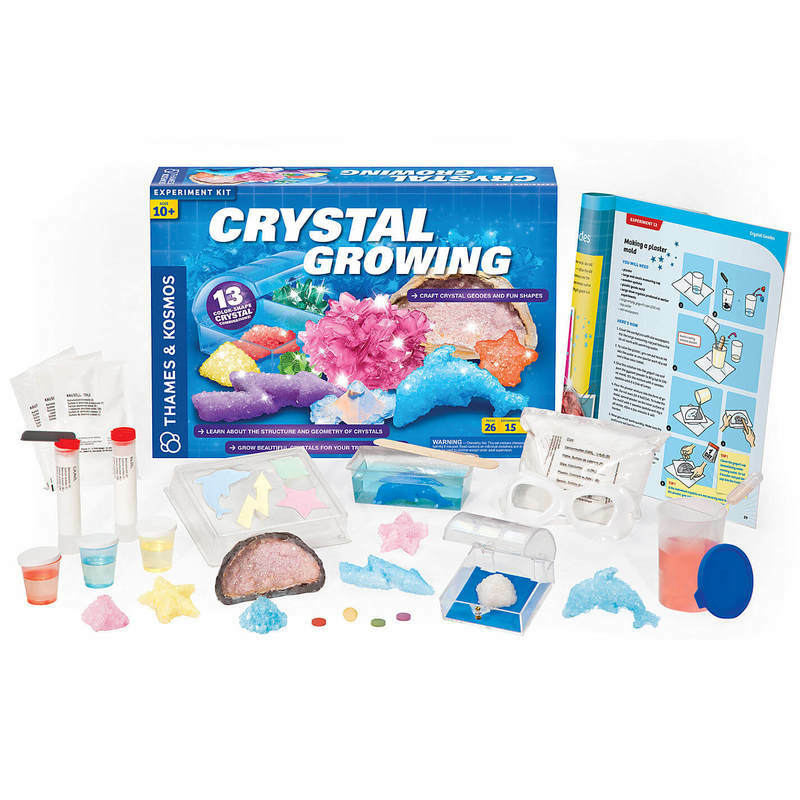 Crystal Growing | Craft crystal geodes and fun shapes! 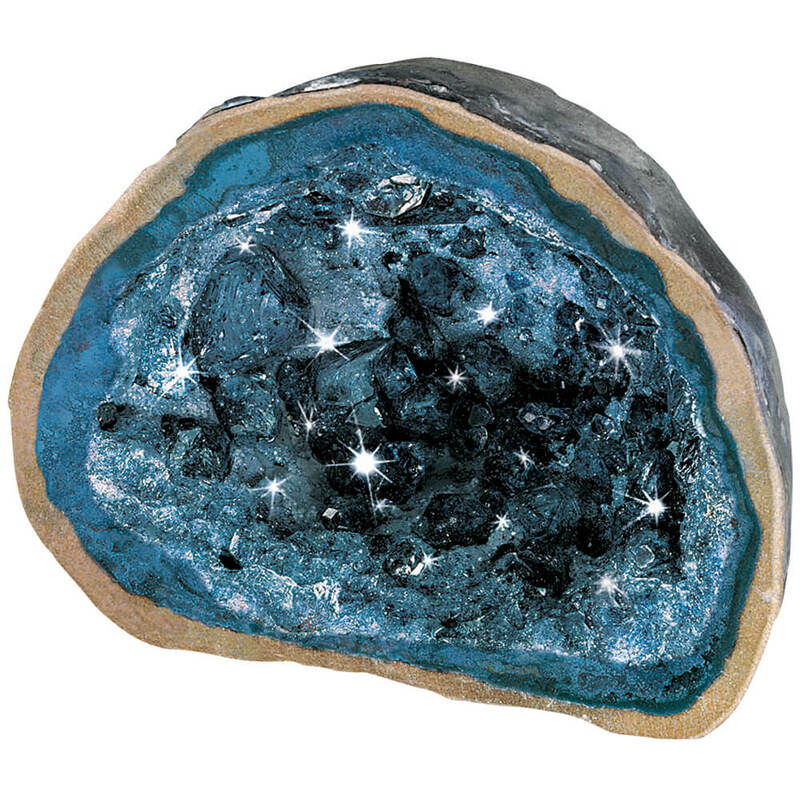 Craft crystal geodes and fun shapes! Create a stunning crystal geode cavern! 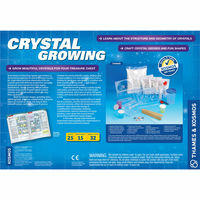 This incredible Crystal Growing by Thames and Kosmos kit allows you to create dozens of dazzling crystals! 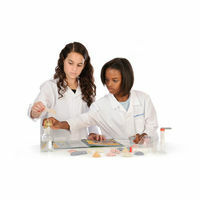 You have the opportunity to conduct 15 illuminating experiments and display your creations in the included clear treasure chest display case. It's so cool it even comes with a lockable lid to protect your valuable creations! There are 13 colour-shape crystal combinations you can make! 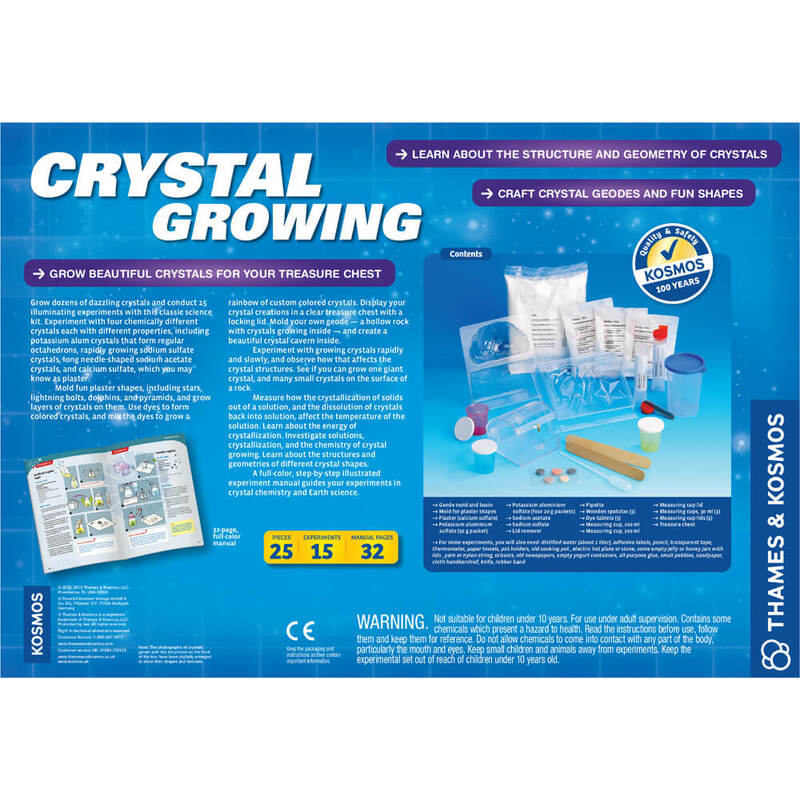 You will receive: A full-colour 32 page manual and everything you need to conduct each experiement (excluding common household items).